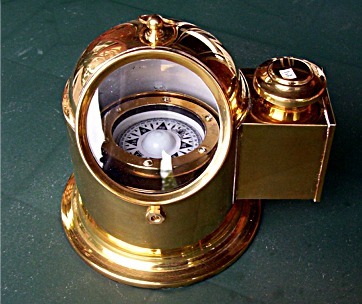 Solid Brass antique style binnacle compass and side oil lamp. A model of those used on sailing ships and kept in lifeboats for centuries. 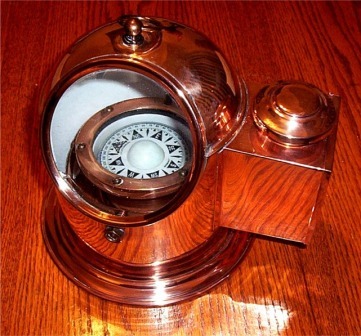 Solid Copper antique style binnacle compass with side oil lamp. Copper model type used on sailing ships and kept in lifeboats for centuries. Highly polished heavy brass Alidade. 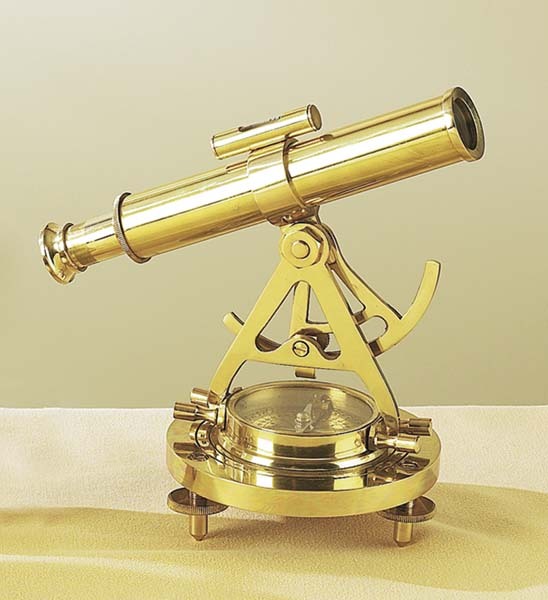 Real instrument for measuring distance, direction & elevation of an object. Primary use is for a gun sight for guns and cannon. 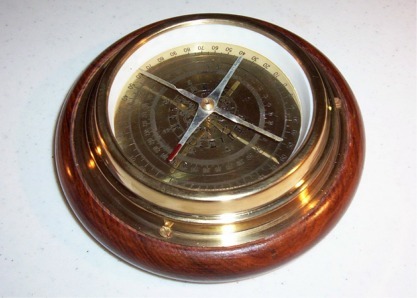 Size: 14.5" L x 8"
A Polished Brass ships master gimbal compass in handsome mahogany wood box with beveled glass top. 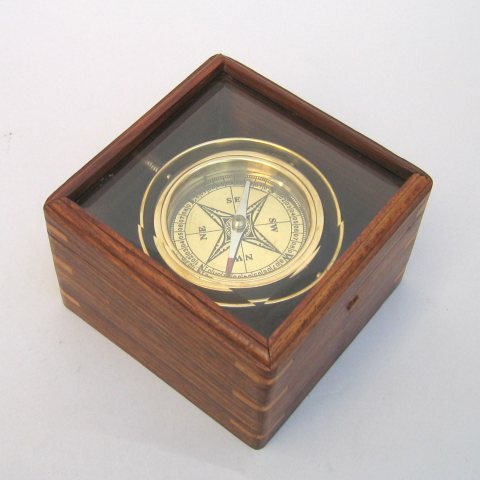 A Polished Brass ships master gimbal compass in handsome light oak wood box with beveled glass top. 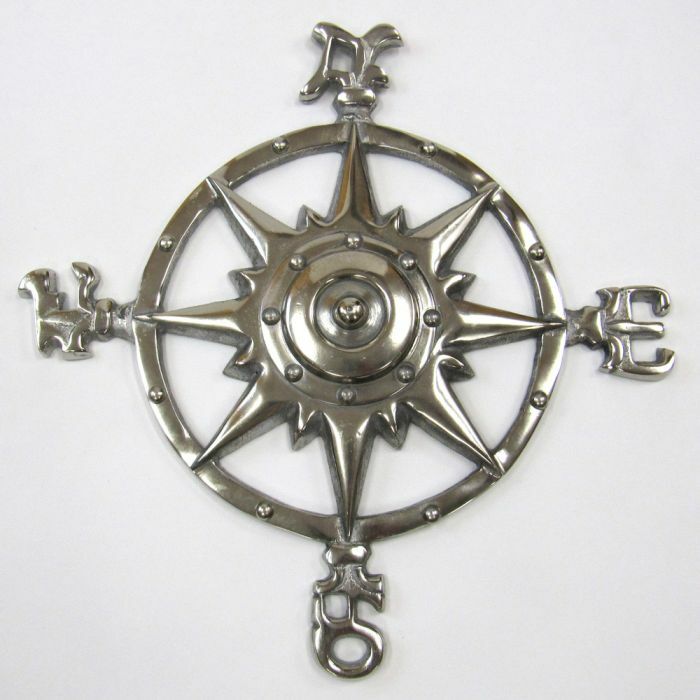 An excellent nautical decor piece. Highly polished heavy brass Alidade on a hardwood base. 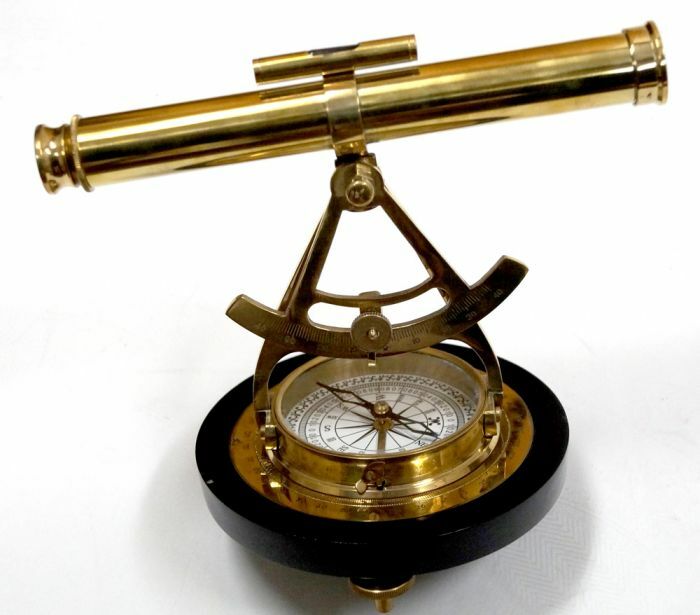 For measuring distance, direction & elevation of an object. Primary use is for a gun sight for guns and cannon. 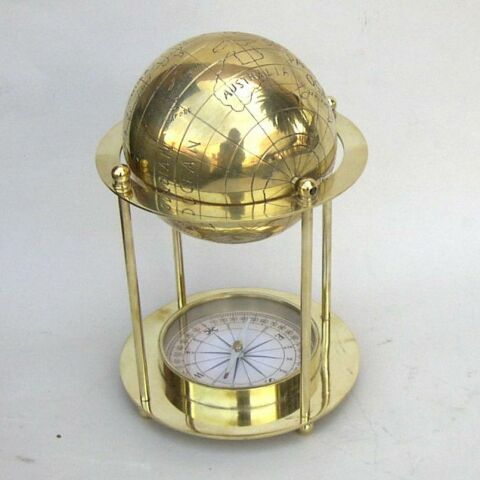 Size: 12" L x 8"
Solid Brass nautical globe on compass base. Globe is hollow brass ball that rotates on stand in N-S position. Nautical piece for maritime setting. 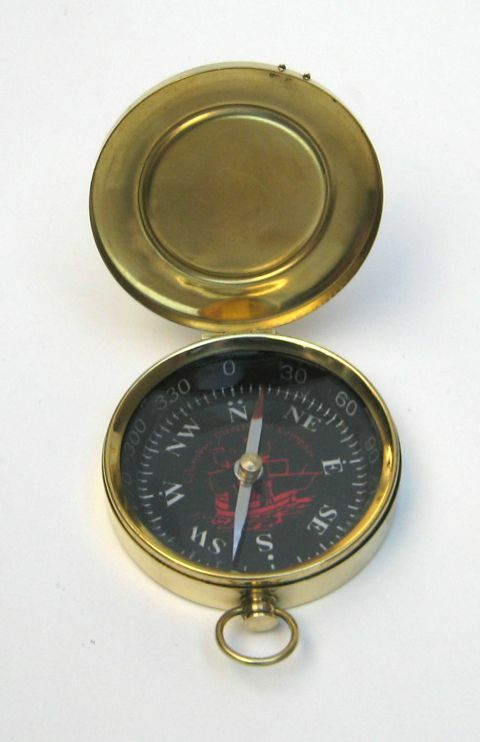 Polished Brass desk compass with easy to read compass dial on mahogany base - an excellent practical boat or desk item. 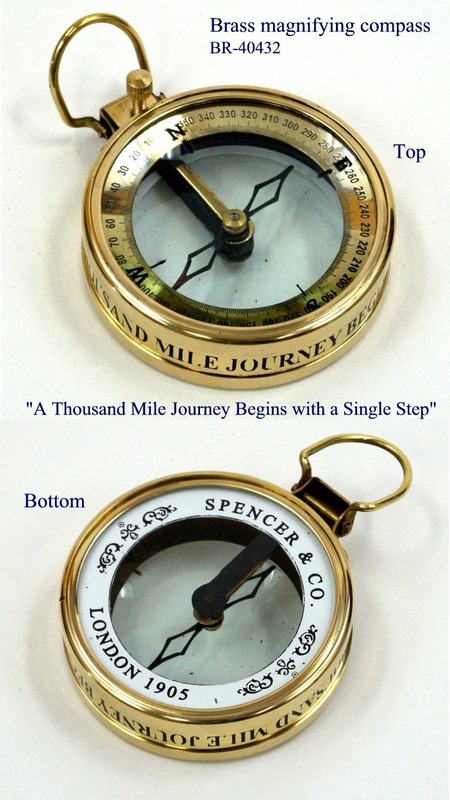 Polished Brass Magnifying Compass with engraved quotation "A Thousand Mile Journey Begins with a Single Step". 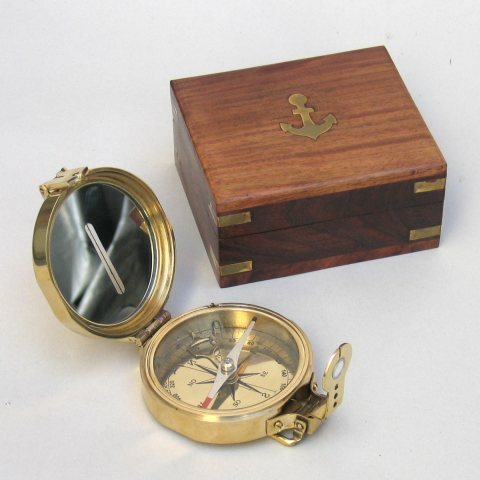 Solid brass Captain's Clinometer Compass in mahogany box with brass inserts. 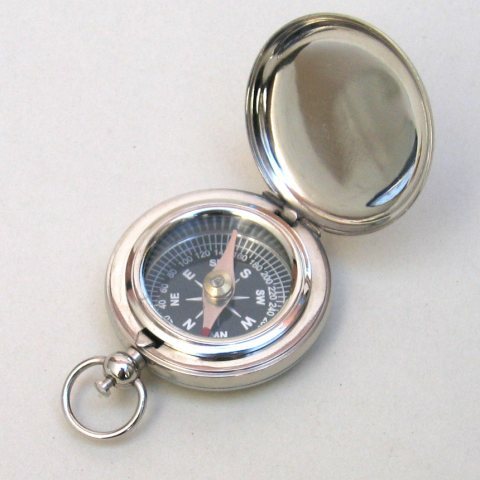 Authentic working compass with many uses. Great gift or presentation piece. 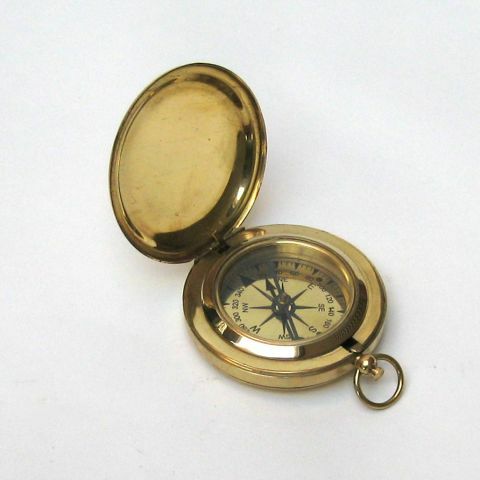 Solid brass large Dalvey style pocket compass. 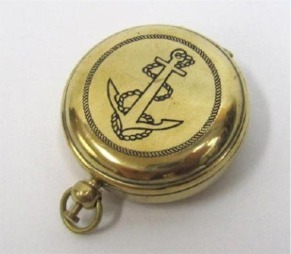 A larger style of the famous Dalvey pocket compass with brass face and key ring. 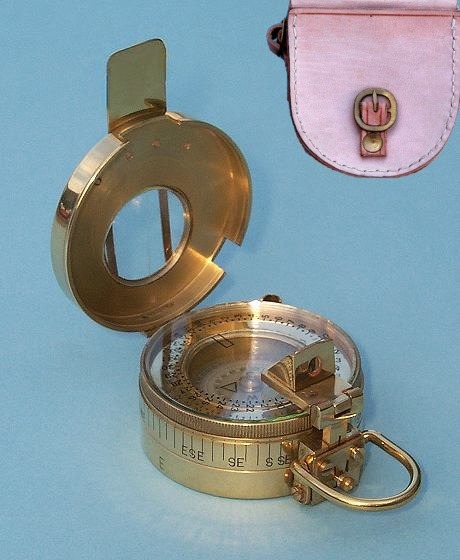 An authentic precision Dalvey sailors compass. Can be ordered in either Chrome or Brass finish as shown. 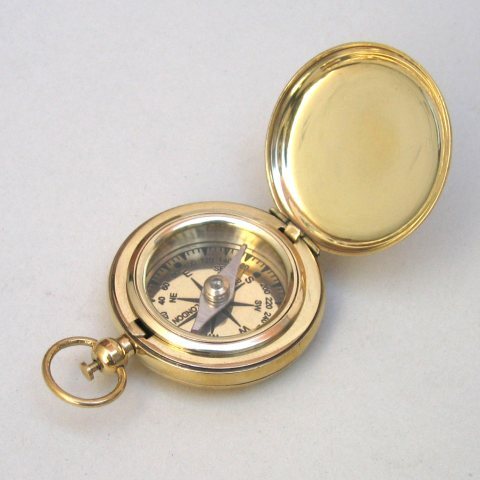 An authentic precision Dalvey sailors compass. Can be ordered in either Chrome or Brass finish. 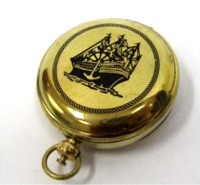 Precision Dalvey sailors compass with sailing ship etched on the top. Can be ordered in either Chrome or Brass finish as shown. 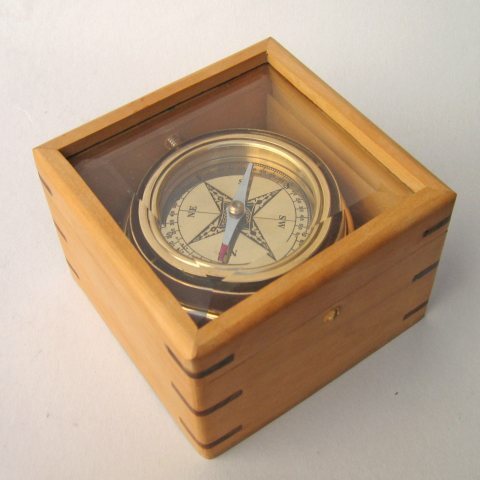 Precision Dalvey sailors compass with anchor etched on the top. Can be ordered in either Chrome or Brass finish as shown. 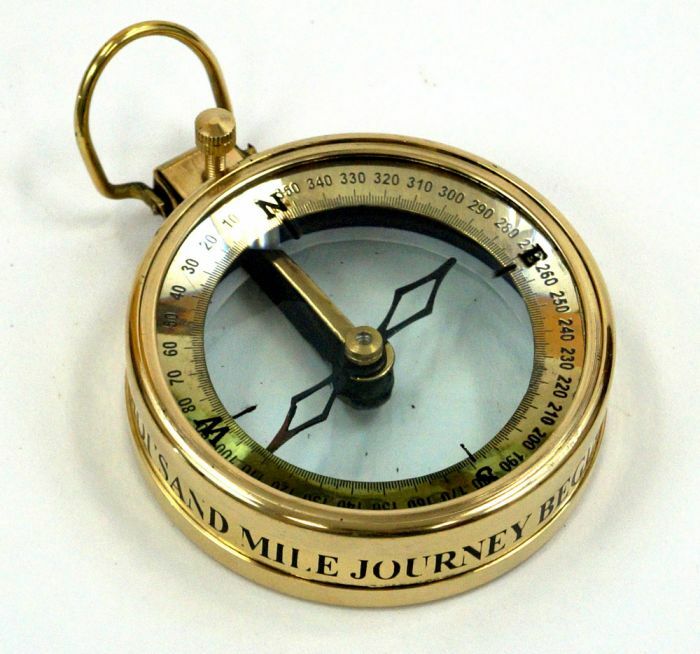 Solid brass military style Compass tells directions and vectors with night-glow dial. 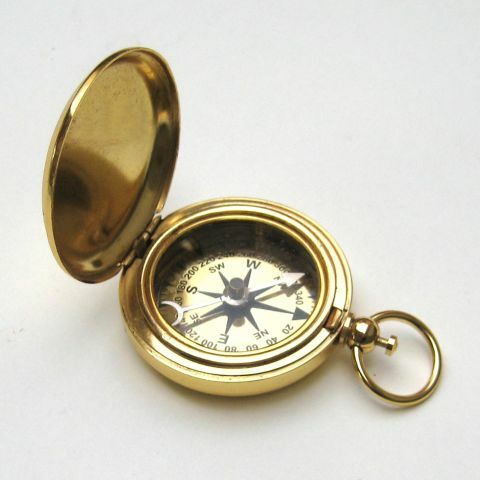 Solid brass military style Compass in antique finish for stealth operations. tells directions and vectors with night-glow dial. 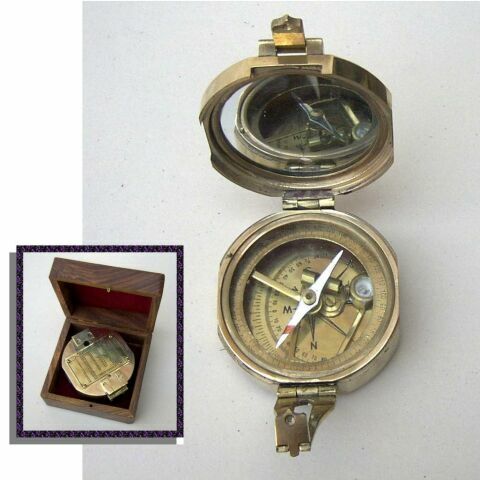 Solid brass Burton Stand Explorer's Clinometer Compass larger size in leather case Authentic working compass. 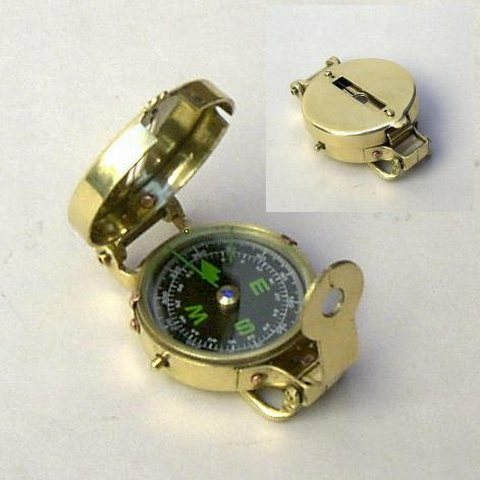 Solid brass gold plated Dalvey style pocket compass. 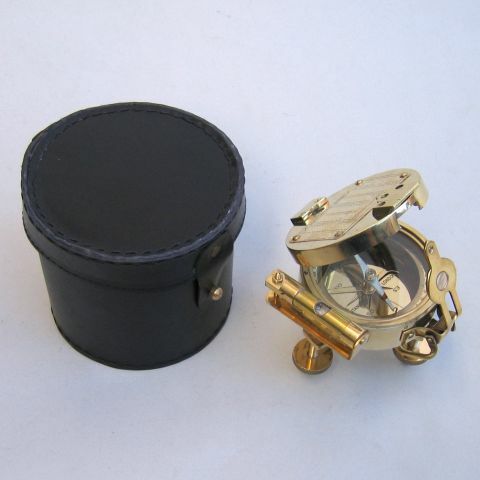 Precision Dalvey sailors compass with heavy gold plate in velvet gift box. An excellent gift for every member of your crew. 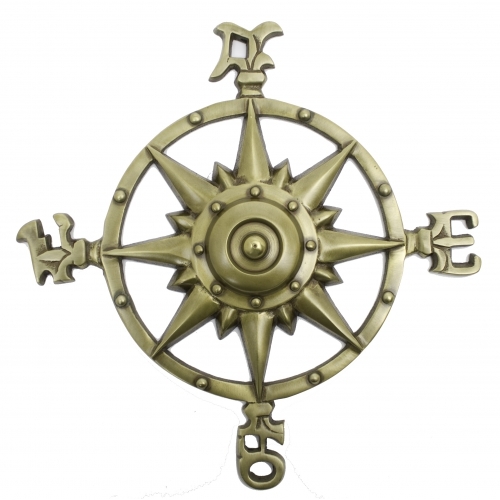 Solid brass decorative compass celebrating the Christopher Columbus' expedition to find the "New World" in 1492. 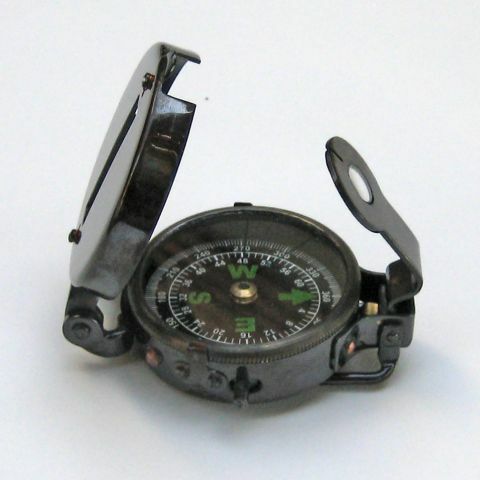 Working compass with red and black dial. 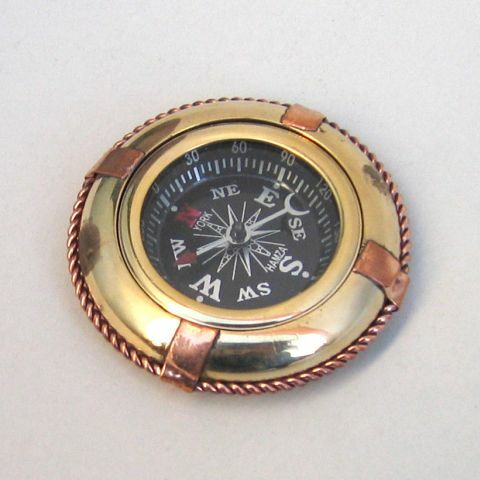 Solid brass lifebuoy style table compass with copper trim. A must for the mail salon or a table at home. 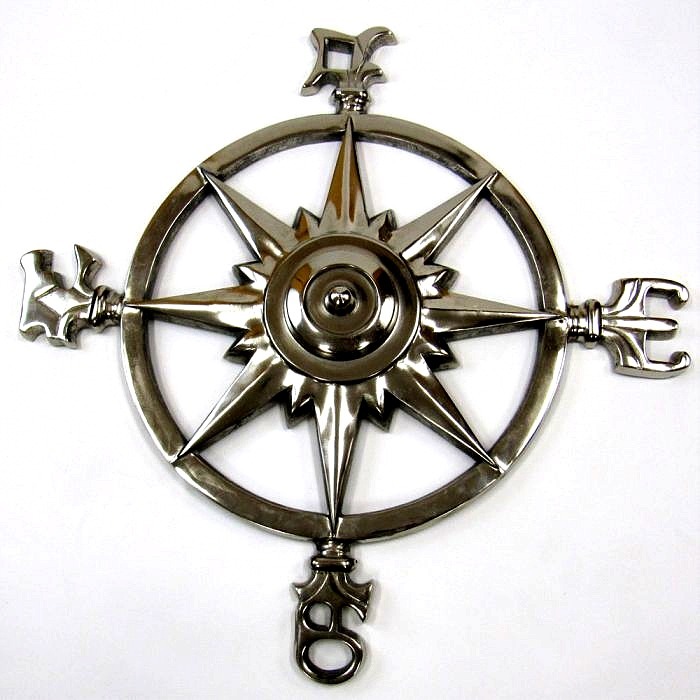 Measures: 2-3/4"
Chrome Plated Aluminum Compass Rose (windrose) - Wall compass. The consummate nautical piece for 800+ years. Heavy chrome plating over aluminum. 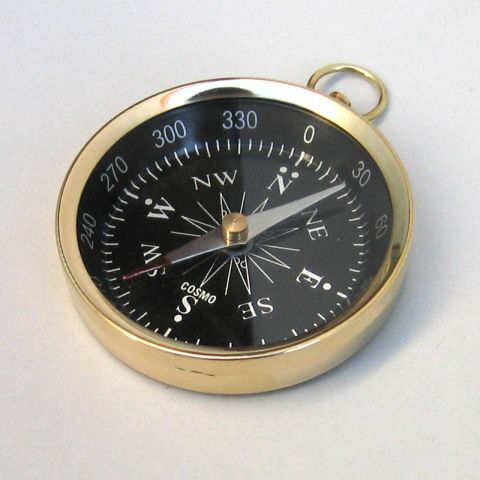 Antique Brass plated Aluminum Compass Rose (windrose) - Wall compass. The consummate nautical piece for 800+ years. Antique brass plating over aluminum.